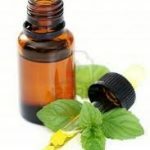 Peppermint essential oil is used for a wide range of potential purposes. It is a form of natural healing that uses the peppermint plant to improve overall health and wellness. Understanding the uses when dealing with nausea is a key part of getting the most out of the oil. The thought of peppermint often brings to mind after-dinner mints or similar mint-flavored candies. While this is flavored like peppermint, it is also bad for the body and stomach. The real peppermint oil is created from the peppermint plant. It is a strong-smelling essential oil that has the familiar scent associated with candy canes or the gum. Peppermint oil has anti-bacterial and anti-microbial properties that make it useful when fighting internal infections and similar ailments. As a result, it can be useful when fighting nausea in some situations. Peppermint oil is not harmful when ingested, so it is perfectly safe to add to water or other beverages when facing nausea. This method of eliminating the feeling of discomfort is best when the nausea stems from problems related to indigestion or problems with the digestive system. The best practice is adding one or two drops of essential peppermint oil to warm water. Mix into the water and then drink the mixture like tea. The scent and the ingested oil will have instant effects on the feeling of nausea. When drank, the oil will also help aid in digestion so that further nausea is avoided. While drinking the peppermint in water is useful, it is not always the best way to get rid of nausea. In some situations, the oil should not be ingested without first discussing the nausea with a doctor. This is particularly true when facing nausea from a virus or bacteria that has infected the body. The scent of peppermint oil is useful when struggling against nausea and often ingesting the oil is not necessary. In many situations, rubbing the oil on the stomach and breathing in the scent will help fight off nausea. This is best performed when struggling against nausea due to sicknesses. Ingesting the oil might cause the nausea to worsen due to a virus and the fight against illness. The scent of the oil will not have the same impact because it provides a clean, fresh smell that helps reduce the nauseous feelings. Peppermint oil is a little harsh on sensitive skin. When putting the oil on the stomach of a young child or someone who has sensitive skin, mix it with olive oil. A mixture of ½ peppermint oil and ½ olive oil will help eliminate any skin sensitivities while still providing the aroma that helps fight off nausea. Rub the oil onto the stomach in a circular motion. Encourage the individual who feels nauseous to breathe deeply so that the scent of peppermint is noticed. When the oil is well-rubbed over the stomach, stop and allow the individual to rest. The oil will help fight the uncomfortable feeling without harming the body or risking further nausea from ingesting the oil. Peppermint essential oil has a strong scent and is not appropriate for all women who are struggling with morning sickness. While it might help in some situations, many women will find that the strong smell actually makes the nausea worse in the first few months. Women who are pregnant should discuss the use of peppermint oil with a medical doctor before using it to fight nausea. In most cases, peppermint essential oil scents are enough to fight nausea if it does not make pregnant women feel worse. It is best to avoid ingesting peppermint oil during pregnancy unless otherwise directed by a doctor. Peppermint essential oil is useful when fighting nausea. The strong scent is not right for every situation, but it can help when fighting illness from bacteria or when facing indigestion that leads to nausea.